I wrote this review in November 2013 whereupon it went into my drafts folder in anticipation of being edited before I pressed the ‘publish’ button. Fourteen months later and I think it’s fair to say the time for editing has long since passed. If I was going to do that I would need to read the book again, which I don’t have time to do. As the review is perfectly readable (and, I hope, understandable) I thought I would publish it “as-is”. Book reviews on The Second Achilles are few and far between but I could hardly ignore this one. We all know the story of how Achilles was dipped into the Styx by his mother so that he was invulnerable except at the heel; how he fought in the Trojan War, only to be dishonoured by Agamemnon; how he died after being shot by Paris in the one place that he was vulnerable. Similarly, we all know of his friendship with Patroclus. The Iliad doesn’t say as much but the ancient Greeks generally believed that they were lovers. Miller takes that view as well, and so her book is Patroclus’ account of how they met and fell in love. Oh yes, and died; we shall come back to that. Madeline Miller is a good story teller. She can turn a phrase well and is at ease with her characters. She wears her learning lightly (according to the author’s biography in the book she has two degrees in Latin and Ancient Greek and teaches both subjects) and has made me want to read The Iliad again. I understand she is writing a book based on The Odyssey; on the strength of The Song of Achilles I shall certainly be keeping an eye out for it. If you have the feeling that a ‘but’ is coming, I applaud you prescience, for here it is. The Song of Achilles had – for me – a number of faults that stopped me from regarding it as a first class effort. Most profoundly, I did not feel that it made clear why Achilles was attracted to Patroclus. One minute Patroclus is sitting by himself at the table, the next Achilles has noticed him, the third they are bosom buddies for the rest of their lives and beyond. I felt that the book suffered from a number of disconnections. 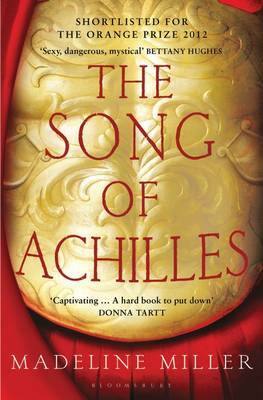 i. Achilles is portrayed as an utterly carefree boy and then as a man obsessed by his honour. How and when did this change take place? We are given no indication (that I can recall, anyway) that justified his hardline stance after Agamemnon took Briseis. ii. 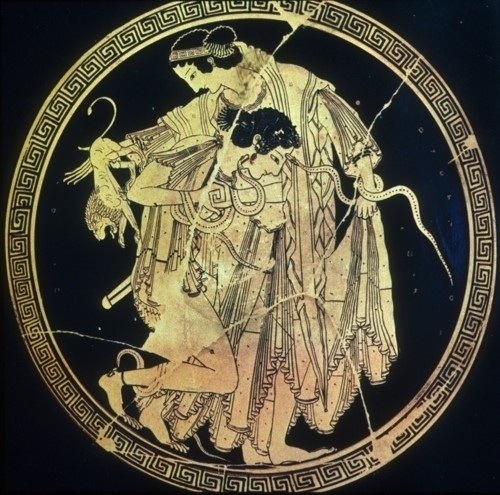 Achilles carries out no great deeds as a youngster. Except for at meal times, it seems, he lives apart from other people. Yet, when he returned to Phthia after a period of time in Scyros, the men are cheering him to the heavens. Why? Why are they so convinced by him? Is it just reputation alone? If it is, I wish it wasn’t. I wish Miller had given them a more solid reason to cheer him. iii. Thetis’ appearances were very disjointed. I appreciate that this may have been deliberate to emphasis her apartness from the mortal world but it grated nonetheless, especially because her character remained static for the whole story. There were three plot elements to The Song of Achilles that I thought were big mistakes to include. The first was the Scyros episode. Again, I appreciate that this is part of the myth of Achilles (although that does not mean Miller was obliged to use it) but it felt very out-of-place as far as the story was concerned. Are we really supposed to believe that Achilles would not have sought to return to Patroclus before the latter went to him? Perhaps Miller was telling us something either about his character or his regard for his mother. If only we had a better sense of his relationship with her beforehand. Similarly, I was not convinced by Achilles’ dressing up as a woman. Was his appearance altered by magic? That’s what I thought at first but then it appeared not to be the case. Granted that Achilles is not big like Ajax or Sarpedon but really didn’t anyone notice who he was? I’m sure I’m missing out on what made his deception convincing but I don’t know what it is. The manner of his unmasking was rushed and felt farcical. The second plot element that I thought a mistake to include was Neoptolemus. The line in child-tyrants has, in recent years, been dominated by Joffrey in Game of Thrones and he is one more one-dimensional, irritating, blood thirsty brat than fiction really needs. Neoptolemus is now another. He added nothing to the story for me. If anything, he took away from it with his needless arrogance and acts of cruelty. How he was not poisoned by the other captains I will never know. The only justification I can think of for his inclusion is that he was Thetis’ Revenger. If that was the case, though, he did not choose his targets very competently. The final element was Patroclus’ narration after he died. I would much rather a second narrator had taken over at this point. 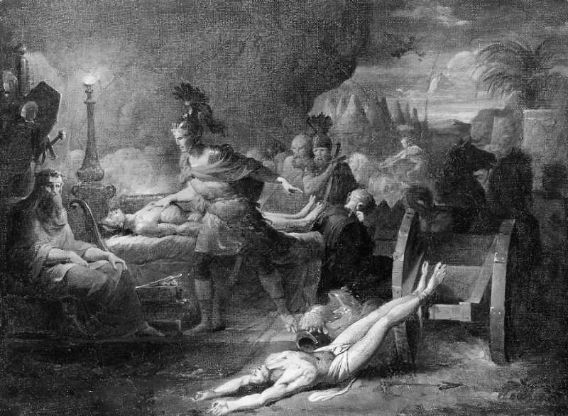 Patroclus’ continued involvement diminished the value of his death, and therefore, the merit of Achilles’ mourning. I would like to finish as I started – with some positives. Although Patroclus came across as rather a bland person, I still liked him. At least he tried and loved. In regards the latter, I thought that his love for Achilles, and indeed their relationship in general, was very sweetly handled. I cannot say how much I liked Miller’s Odysseus – clever, witty, smart… but never arrogant or vain. I hope very much that her Odyssey book is focused on him. Similarly, Odysseus ‘double act’ with Diomedes was great to read. Finally, I really liked the book’s fusion of myth and reality. To be sure, there was a way in which it didn’t work (the demythologised Achilles worked well as a man but less well as a warrior) but I enjoyed the appearance of Chiron very much, as well as references to heroes such as Herakles, and the first appearances of Thetis and Apollo, as well as the more oblique appearance of Zeus. In conclusion, I think Madeline Miller has given us something that adds to our creative understanding of Achilles. For all its faults, it was a good first novel, and although it should not have won the Orange award, I saw enough in it to make me think that Miller will grow and continue to improve as an author. My copy came signed by her. I wish it had come without the praise of Bettany Hughes and Donna Tartt on the front cover as they raised unrealistic and unfair expectations. He woke her with a kiss. First she was astonished, then furious. He applied all his cunning to seduce her. He exhausted his resources. None of it worked. As is the way of these things, it begins with a prophecy – Proteus tells Thetis that she will bear a son who will be the ‘wonder of the world’. 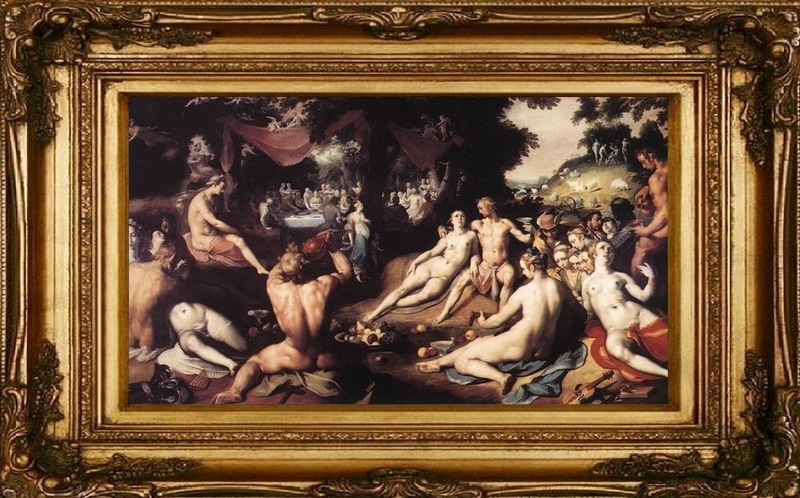 Fearful that her son might challenge his rule, Zeus has Peleus seduce Thetis. Presumably he believes that this mere mortal could never sire a hero. Peleus’ first attempt fails as Thetis changes her shape from one animal form to another before striking him with her tiger’s paw. Determined to bring the prophecy about, Proteus tells Peleus to bind her arms and feet, and hold on until she submits. Peleus does and wins the day. His caresses included her whole body. Where now he planted Achilles. The story of Peleus and Thetis is as disturbing as it is exciting, especially from Thetis’ point-of-view. One can only imagine (if one dares) what imagination or historical event lies behind it. The brevity of Ted Hughes’ translation foregrounds this lack of knowledge very well. It is a frustration but also a thrill for it gives us the space to imagine the story anew for ourselves, perhaps to make good the harm done in the earlier version. One more reason why story telling is so good.